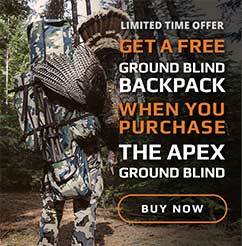 While XENEK is primarily a consumer direct company that brings XENEK products straight to hunters, we have also partnered with a select group of manufacturers that offer unique, innovative, or must-have products. The products from this small group of manufacturers can be found in our online store. Here you will find the products that are consistently found on experienced hunters’ gear lists. In other words, this is the gear that you need to have in your pack to maximize your field opportunities. There are a few ways we select XENEK endorsed products. Most are products that we have been using for years. Having seen the way they have given us a slight or substantial hunting advantage, we feel there are no better products to provide to hunters seeking to find ways to maximize their hunting experiences. We also select XENEK endorsed products that are new and creative that have the “wow” factor. This is the gear that makes you wonder why nobody else had come up with this yet. The only reason we haven’t been using and endorsing it for years is because it is just hitting the market. The final way we select XENEK endorsed products is through feedback from our group of well respected outdoor professionals, the ones in the field more than anyone else and understand what is hype and what is necessity. Buzzwords and flash don’t last long in the hands of an outdoor professional that relies on his gear day in and day out. If a product is worthy of a consistent ride in their packs, there’s a good chance you may want to keep it in your pack, too. You’ll find we showcase these products in the same manner as our own. You’ll find product review videos, interviews with manufacturers, specifications, descriptions, and additional photos to help you understand how these products are unique and innovative and why they should be on your personal gear list. XENEK endorsed products allows XENEK to complement our own gear with absolute must-have products that enhance your time in the field.